The Marvelous Mrs. Maisel has introduced us to a whole new 1950s that we’ve never seen before. But how does it hold up in terms of diversity? 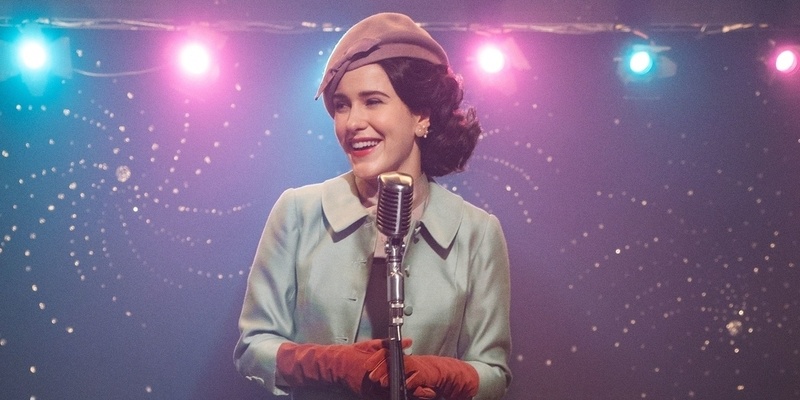 Season 2 of The Marvelous Mrs. Maisel is finally on Amazon Prime, and it’s absolutely stunning! There are no dull moments, and with plenty of laughs and Midge and Susie’s enterprising attitude, this season seems to have lived up to expectations very nicely. In this new age of self-awareness, however, we’re always trying to keep track of the diversity in the shows we love. Are they making an effort to show us the whole picture? Or are we always rallying behind characters of the same race, gender, religion, and sexual orientation, without stepping out of the box? Let’s take a look at diversity in The Marvelous Mrs. Maisel, because it’s a very interesting case of ambitious writers, a tricky time period, and a lot of potential. Warning: I haven’t finished season 2 yet (I’m savoring it slowly, okay?) so I might be missing some characters/storylines. The most stand-out case of diversity in The Marvelous Mrs. Maisel is, of course, the fact that Midge’s family — and Susie, and Joel’s family — are Jewish. It’s not often we get to see a Jewish main character living a normal life, much less in this time period, with her religion seamlessly integrated into other aspects of her life (as religion is in real life). Although some critics have pointed out that it’s not necessarily the best depiction of a Jewish family in the 1950s, it’s refreshing to see a character be openly Jewish with as much ease as we normally see characters be openly Christian. While I’m sure it’s refreshing for Jewish viewers to see their culture on screen, it’s also fun for those of us from other non-Christian religions to see the diversity of the religious experience finally displayed. Even if our particular customs aren’t on screen, it’s at least a nod to the fact that there’s a great variety of spiritual practices in the world… and that they can all get along in the spirit of friendship. 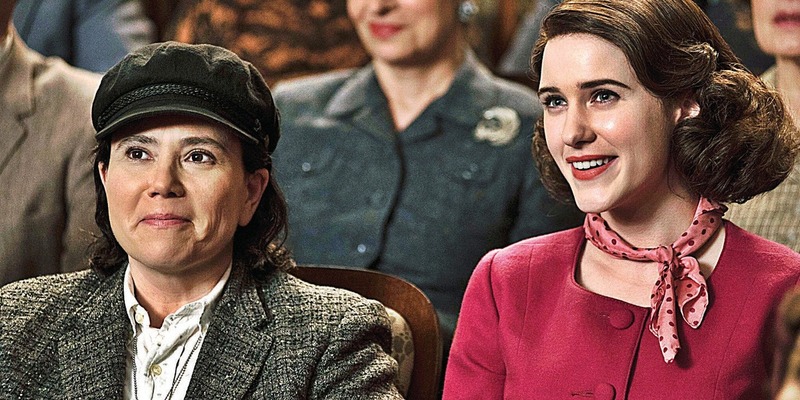 There are a bunch of amazing female characters in The Marvelous Mrs. Maisel. From Midge herself, an unstoppable force of nature who is a mother, comedian, working woman, and socialite, to Susie, who disrupts all of the time period’s expectations of how a woman should live, dress, speak, and think — and now even Midge’s mother Rose, with her determination to discover herself and live life the way she wants — the show does a great job of showing us that feminism and strong character doesn’t come from a cookie cutter. Midge, Susie, and her mother are all disrupting gender-role expectations in their own way, and all of their styles are correct. You don’t have to be tough, outspoken or be more masculine to be a feminist… but Susie does that, and it works well for her. You don’t have to break into a male-dominated industry, divorce your husband or be really witty to be a feminist… but Midge does that, and that’s great. You don’t have to prioritize your marriage, and keep to traditional values while still pursuing your dreams to be a feminist… but Rose does that, and it’s wonderful to see. There’s no one way to be a woman: all are correct, and all deserve to be celebrated. It’s always tricky with LGBTQ+ representation, because television doesn’t often commit to be as profound and varied as it should be to properly capture anyone’s experience, but at least The Marvelous Mrs. Maisel is starting to make some tentative steps toward trying. In season 2, Midge encounters some very stylish French drag queens and is rather shocked — having lived in a bubble most of her life — but ultimately takes it in stride with good will… a first step toward showing us that there was more going on in the time period than what we normally see. So far, though, we have yet to see much of the gay experience in the 1950s, outside of some slyly-dropped hints about Susie’s personal life. But one of the wonders of the show’s plot is that, with Midge touring so many bars and learning about the parts of society she’d mostly been kept away from by her social class, the story actually has a chance to show us a lot more than just the affluent, mostly-white and straight social class. We should be seeing a lot more. But what about racial diversity? That’s true… but as with LGBTQ+ characters, in this particular case there isn’t really much of an excuse to not include them. 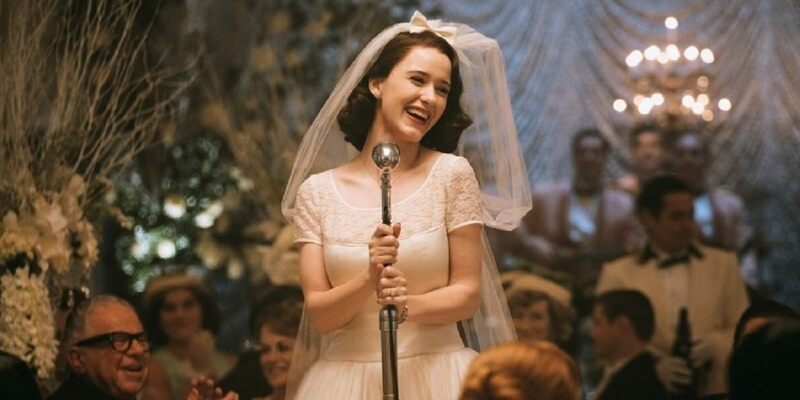 If The Marvelous Mrs. Maisel can be ambitious about female and religious representation, while crafting a story about a woman who goes out of the usual haunts of her social circle to do something absolutely new, then there are definitely plenty of opportunities for more interesting non-white characters to turn up (not to mention that very few of the Jewish characters in the show are played by Jewish actors). So far, there have been a few Black characters, but none who stick around and have a story of their own, and no Asian characters at all… and with a main character who is championing for the oppressed, things would be a lot more interesting and perhaps even more realistic, if the show decided to openly acknowledge segregation and its effects on everyone in society. Still, I’m not a proponent of attacking a show for its lack of representation in one aspect when it does such a great job in others. The Marvelous Mrs. Maisel is revolutionary on many levels, and absolutely deserves to be celebrated. We can only continue to show support for the show and encourage its writers to keep pushing past expectations. Just like Midge can transcend all stereotypes and do it all, this show can also become a show that does it all — revealing to us how New York was for everyone, not just a privileged few.